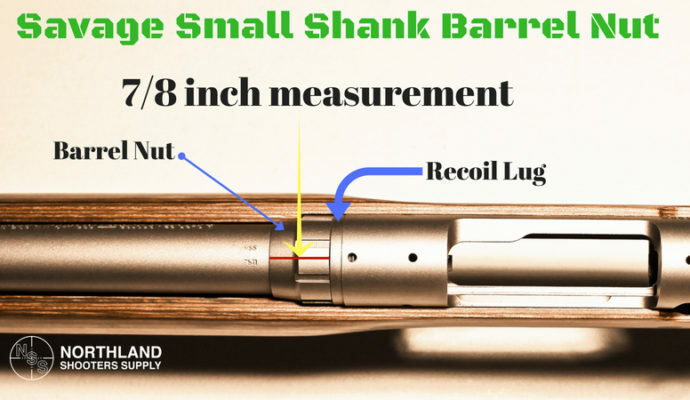 Not Sure If Your Existing Rifle Is Small or Large Shank? Great news! 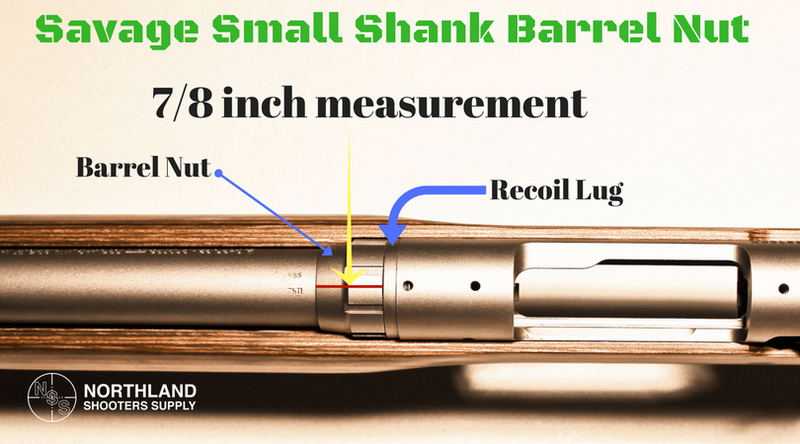 You don’t have to remove the scope, stock, or barrel from your action in order to tell the difference between a small or large shank barrel nut. 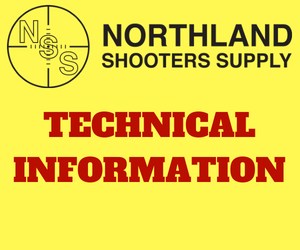 Simply grab your tape measure, ruler, or dial caliper in order to know for sure. 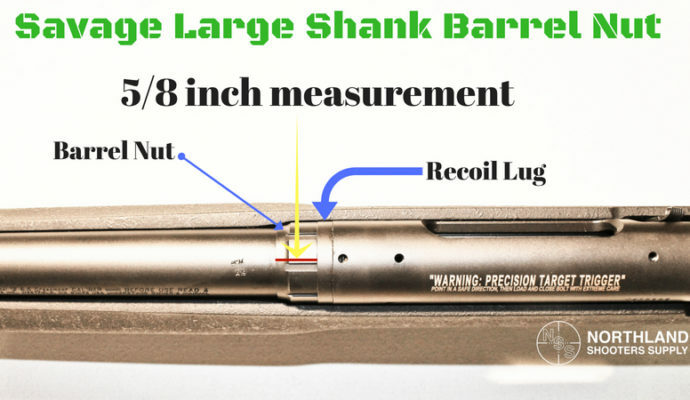 The most important detail, DO NOT include the recoil lug in the overall measured dimension. 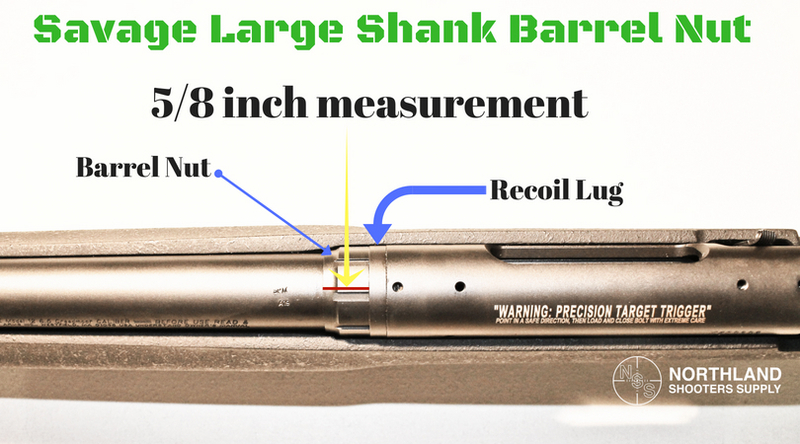 See the pictures below for an explanation of the measurement differences between the large and small shank barrel nuts. 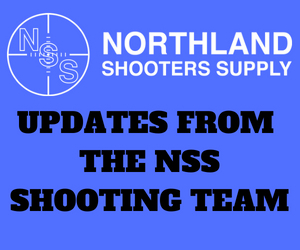 Do you still have questions? Please give us a call and we would happy to help.